I don't want to get into a big debate about which bundle is the best bundle, because the wonderful thing about bundles is that you can buy them all and gets many wonderful games from the lot of them. But I have to say that while I think the Humble Bundle V was a seriously amazing bundle, it didn't truly excite me as I owned multiple copies of every game in it. This Indie Royale, on the other hand, is jam packed with games I've always been curious about, and that I'm now thrilled to get to play and own and download and everything. Unfortunately, aside from a Mac version of Auditorium, you're going to be sticking with Windows in this bundle. Aside from that, this is a really amazing bundle. Every time it feels like Indie Royale outdoes the last one, and this is no exception. Skip past the break to see what awaits. There are plenty of times that I find myself playing a game over two sessions, and finding that my opinion has completely changed overnight. However, I don't think it's ever been quite so pronounced as it was with PixelJunk Eden. Last night I thought it was pretty, but shallow, frustrating and hard to approach. Upon returning to it later, I found it to be engaging, exciting and full of brilliant moments of action or wonder. Something tells me that my initial frustration wasn't entirely unearned, as the game is a bit unintuitive. 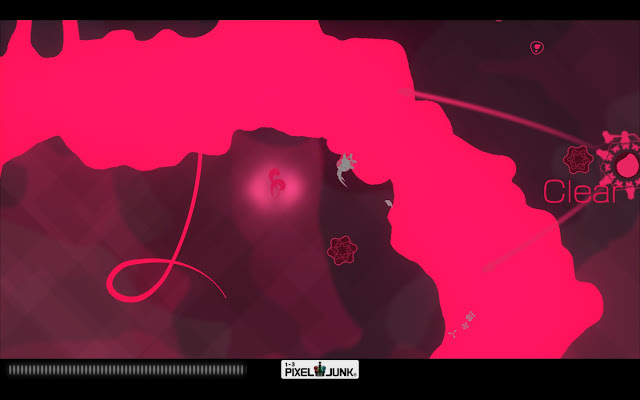 But PixelJunk Eden completely delivers on the whimsy and wonder that the developers set out to capture. I'll start by just sketching out the premise for you. In this iteration of PixelJunk, you are a tiny bouncy little creature called a Grimp, and you are given the Marioesque task of collecting 75 Spectra, scattered amongst the levels, or gardens. The Grimp can jump around, grab onto surfaces and even use a little bit of silk to spin around, beat enemies and slingshot longer distances. But to reach the Spectra, you need to slam, smack or dive into random enemies floating around, creating pollen to fuel seeds that can expand into new plants for the Grimp to grip onto. I have a soft spot for any game that features levels you slowly build and expand, so it's a great hook to the platforming and exploring. Obviously the key selling point for PixelJunk Eden is the art style and the sound design. It does boast some truly beautiful design, with abstract plants, leaves and stems providing a beautiful landscape, and the music is rather relaxing and well crafted. But the part that sold the game for me was the general acrobatic nature of your Grimp. Swinging around, flying through the air, just barely making a tricky jump thanks to a convenient sway of the branch. The aforementioned art style of the plants provide a rather excellent playground to swing, bounce and hop around in. It's a relaxing, but also sort of thrilling experience. This can backfire in some ways. 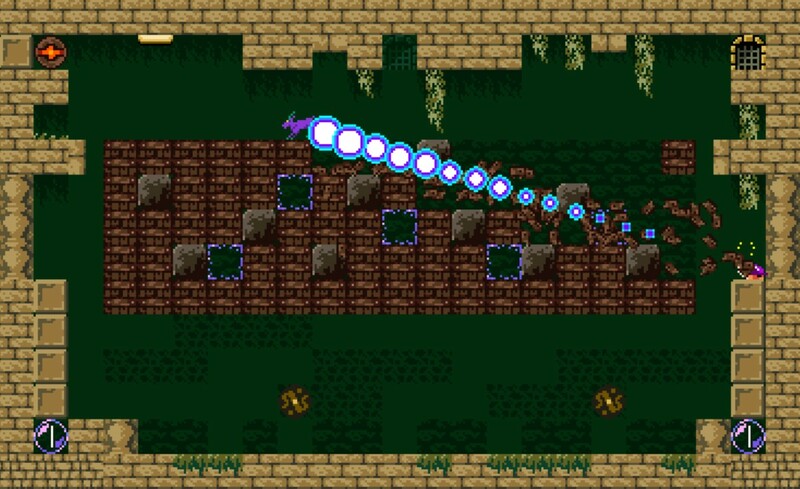 Missing a jump is absolute murder, because unless you get very lucky you'll probably plummet to the bottom of the level. Complicating this is the time limit, which seems like a superfluous and unnecessary addition to the formula. It's fairly lenient, but it also probably could have just been ditched completely. 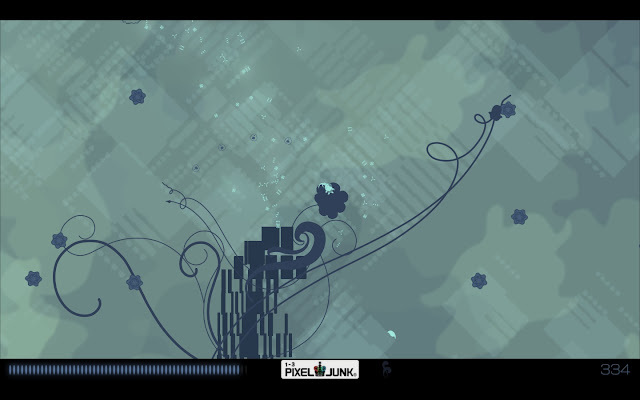 And as mentioned before, the first time impression can be a little rough; PixelJunk Eden has plenty of information, scoring and stats, but not quite enough guidance through either level design or through text explanations. Still, those are minor flaws alongside the incredible art design and sheer acrobatic amusement in store for you. I'm rather pleased this made the jump from PSN, and in the end it was quite a pleasure to play. You ever hear about a console game everyone just raves about, and you just wish and wish it would come to PC so you can join in on the fun? 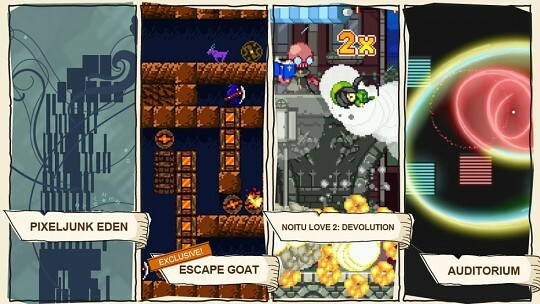 Escape Goat, released on the XBLIG marketplace, was that game for me. Everything about it sounded right up my alley and my friends just raved about how fantastic it was. After a previous series from the developer, Soulcaster, made its debut in the Indie Royale, I loved it and named it my favourite part of the bundle. My interest was piqued even further. Escape Goat had taken on this sacred cow (goat?) status in my mind, and I had some pretty sky high expectations for the PC release. I'm happy to say that I was not left wanting. Escape Goat is another entry in the admittedly robust indie category of puzzle platformer. But the bizarre premise, solid mechanics and overwrought anti-serious tone of the story quickly separates it from the pack. You are a magic purple goat, trapped in a Prison where you have to rescue at least seven sages, which are mystical blabbering sheep. You have a mouse companion as well ("The only thing better than a magic goat is a magic goat with a mouse friend," crows one of the sheep) and together you hit switches, dodge traps, solve puzzles and avoid the Reapers who guard the prison temple. The puzzles are all very clever, and range from twitchy jumping sections, block breaking segments, timing based switch puzzles and everything in between. The game is built on very simple mechanics that never get changed or altered through the course of the game, instead simply used in increasingly clever ways. In the base game there are nine segments, each with five rooms of puzzles, and they all tend to be grouped around one central design philosophy. One might have a lot of collapsing platformers, while another might be focused on conveyor belts and automated machinery. But the core gameplay is never drastically altered, just refined. It's sublimely enjoyable. The other major thing that makes it so enjoyable is the audiovisual design. Escape Goat has the traditional Magical Time Bean pixel art, packing absurd details into a tiny resolution. It may be retro, but it's a great art style regardless due to the good way it all comes together. The mechanical layout of the temples are particularly cool, as every moving block and element seem to assemble into a monstrous clockwork machine instead of a series of tiles and bits. The soundtrack is really fantastic as well, with a neat, slightly gothic, very mysterious set of chiptunes that matches the aesthetic perfectly. 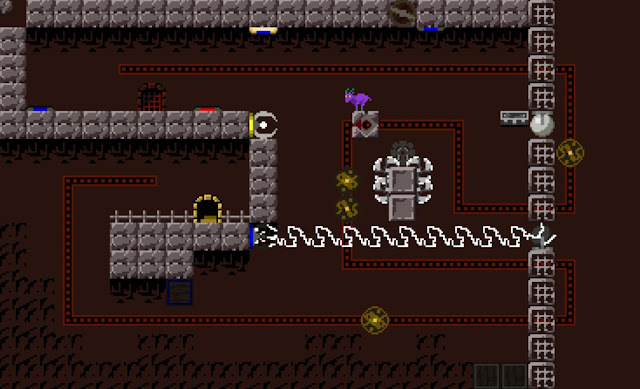 In addition, there's a series of extra hard levels built into the game, as well as a level editor to swap new challenges over the internet. Overall, it's a fantastic new take on the classic puzzle platformers like Soloman's Key and the like. As I said, my sky high expectations did not end with disappointment. Quite the opposite, in fact. Also keep an eye out for your favourite bundle blogger in the credits! And be sure to download the brilliant soundtrack as well, also included in the bundle. I've been cautiously intrigued by Noitu Love 2 since the big Steam rerelease. I wasn't sure if it would be my kind of game since I'm woefully under-experienced in the classic games like Gunstar Heroes that inspired it. 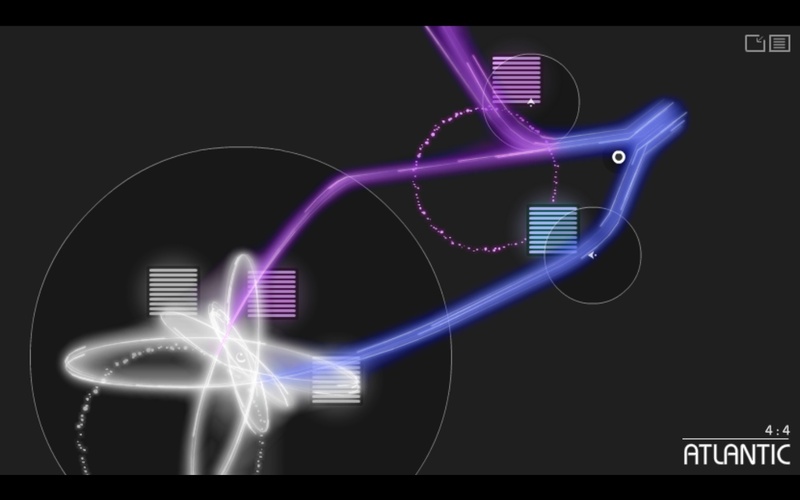 The manic trailer did look rather nice though, and I've been loving the soundtrack I picked up in the Game Music Bundle. Just when I decide to buy it next time I get a chance, lo and behold the Indie Royale comes along and makes the decision for me. Now, after playing and beating it, I only wish I had jumped on this game sooner. 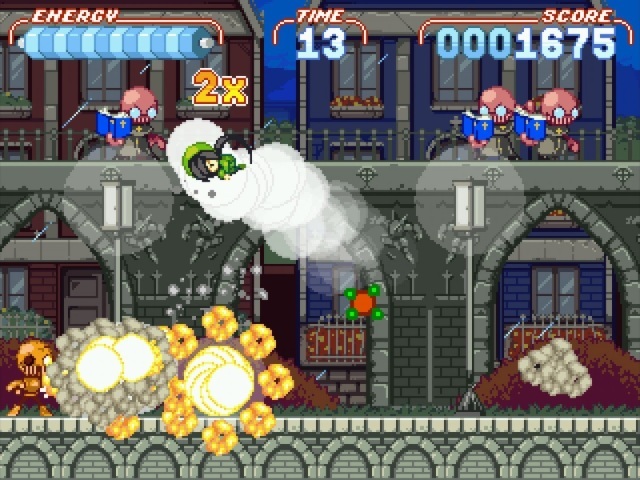 While Noitu Love 2 may be a sequel, the gameplay and story are fairly divorced from the freeware original, making it easy to get into. You play as Xoda Rap, a member of a police force known as the Peacekeepers. When the Darns return, a race of robots that was vanquished by legendary hero Noitu Love, Xoda must punch her way through hundreds of enemies and dozens of crazy setpieces to save the city. The story is delightfully convoluted, but essentially serves as an excuse for ridiculous segments and plenty of punching. I'm told it's working from the Gunstar mould, but I couldn't tell you how close it sticks to that influence. I can tell you that Noitu Love 2 features one of the best control schemes I've encountered in years. To attack a Darn, you simply click. Clicking on an enemy propels you towards said enemy, letting you zip from villain to villain with precision and grace. There are a series of crowd clearing special moves to pull, which are an unlimited part of your repertoire. It's extremely fluid in action, and is put to good use with plenty of segments in which you must race through neverending Darn spawns. There's also a bit of platforming in play, mostly centred around zipping between hooks, but it plays just as well as the heavily aerial based combat. And while I may not have played Gunstar Heroes, the constant stream of gigantic setpieces reminded me of a particular favourite series of mine: Metal Slug. Noitu Love 2 follows the rule of constantly moving right, encountering one ridiculous moment that always tops the last. One second you'll be running on an out of control waterwheel, trying to stay afloat while fighting a dragon. Then in the very next level, you hop on a hoverboard and enter a high tech shootout with robot cowboys. Every moment is better and more over the top than the last, all supported nicely by the insane attention to detail in the style and variety of sprite artwork. There's plenty of other stuff to love about the game too. It's rather short, and can be beaten very easily, but the game includes three difficulties and two additional characters, both of which control completely differently from Xoda. It's a game that I can see myself going back and playing regularly, simply because it's such a fun experience to get through. If Escape Goat wasn't enough for me, the Junebug Indie Royale includes another fantastic looking title I've always liked the idea of, but never really got to try. 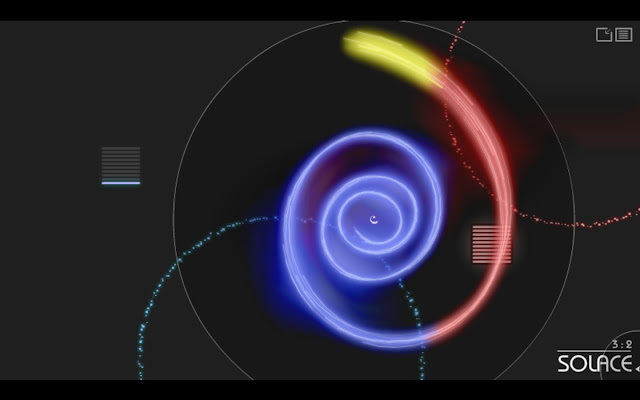 In the most basic sense, Auditorium is a puzzle game about redirection. However, the presentation makes it so much more interesting than that dry explanation implies. In Auditorium, a rush of dots flows in from one side of the screen amidst a series of boxes and arrows. Using the arrows and changing the size of their influence allows you to guide the particles to the boxes, filling them up and adding an instrument to the audio track. Once all the boxes are filled, the final version of the soundtrack will be playing and the level is complete. It sounds pretty simple, but it's quite challenging at times and tons of new elements get added as you progress through the different acts, each with a new melody. All this adds up to a game that's rather fun to mess around in, with great puzzles that you really have to think about. But gameplay aside, the presentation is simply brilliant. Each of the piano based tracks are catchy, melodic and relaxing, and the way they mix together is a great little mental reward for figuring out just how the puzzle fits together. The visual style isn't too shabby either, and seeing the elements of the level disappear to be replaced with just the colour flow is a great way to cap off each level. Auditorium is probably not a game you could spend dozens of hours on, and also not a game with a lot of depth or complexity to its system. It is a great looking and great sounding puzzle that's a bit different from most of the other options out there, and well worth checking out. The Iconoclasts is in development from Noitu Love 2 developer Joakim Sandberg, and features many of the usual Konjak trademarks like beautiful sprite artwork and a stellar soundtrack. It also follows the model of traditional game genres tweaked and inverted to become even better; the genre this time around is the tried and true Metroidvania. 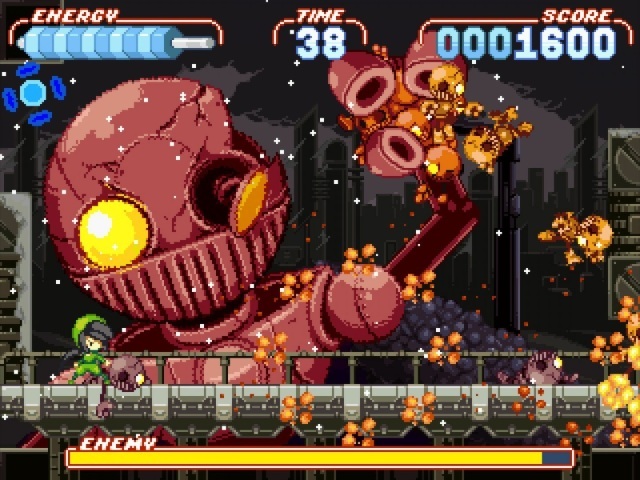 Also based on this alpha alone, The Iconoclasts is going to be a game you simply must watch out for. There are so many things to love about The Iconoclasts. There's a seriously intriguing story about Robin, a mechanic in a world where mechanics are heretics, and fixing your boiler is punishable by death. There's great controls, including plenty of little changes to make the game more fluid like an auto-targeting blaster. There's an RPG-like party system, where you are joined by other characters that you need to work together with, particularly on display in a very enjoyable boss segment. This is just a little alpha preview so far, but what's on display has me rather intrigued. The Iconoclasts is certainly a game project to keep an eye on. So as you can see, I'm a big fan of this here bundle. Go grab it on Indie Royale's page, or just use the fancy widget below! And be sure keep an eye out on my Twitter feed, as there will be a neat little giveaway of this stellar bundle as well. A question here, if i buy the bundle right now, and in the future some of the non-steam game gets its steam version, will I get its key? It's yet to happen, but according to the people organizing the Indie Royale they will do so if the dev agrees to it and it's technically feasible to do so.